Seated: Rachel Rebne, Katie Dalton, Hannah Gasaway, and Isabel Rijos. Standing:Coach Jim McGrew, Heather Nail, Tia Teiniketo, Haejin Choe, Caroline Griffin, Michelle Griffin, Carly Shane, and Coach Julia McQuilken. The Dalton State women's golf team has proven themselves a force to reckon with during only two seasons of postseason eligibility. Roadrunner Coach Jim McGrew has been highly successful in attracting top talent that has competed well in the NAIA National Tournament in Pooler, Ga., near Savannah, during each season. Gone from each of the seasons are All-Americans Julia McQuilken and Erika Wardzinski along with Ashley McDonald. A strong nucleus returns. Two-time All-American Caroline Griffin and 2016 All-American Katie Dalton lead a strong squad that includes seniors Rachel Rebne and Carly Shane, both of whom played in the 2016 SSAC Championship Tournament. McQuilken is also returning, but in a new role. The 2015 NAIA Tournament Medalist will be a student assistant this coming season. Live Oak, Fl. native Haejin Choe, who red shirted last season, will see her first year of college eligibility. A multi-sport star in high school, Choe didn't take up the links until her junior year. Three highly competitive true freshmen now join the team. Hannah Gasaway, a four-year golfer from Union Grove High School in McDonough, Ga., was a AAAAA All-State golfer and Henry County Women's Golfer of the Year. 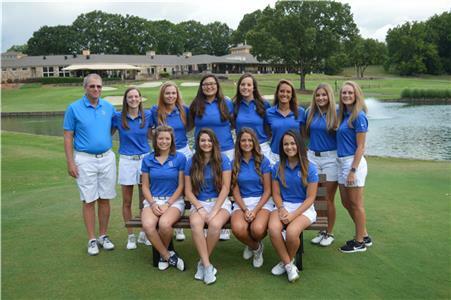 Isabel Rijos was a four-year AAAAA All-State golfer for Northside High School in Columbus, Ga. She finished second in the 2016 state tournament. Tia Teiniketo is a native of Vihti, Finnland. A graduate of the Baylor School in Chattanooga, she helped the Red Raiders to two Region Championships and two state runners-up. Individually, she was second in the state tournament in 2015 and sixth in 2016. Two talented and experienced college golfers are joining the team this season, but will need to redshirt because they played last season for NAIA teams. Heather Nail joins the Roadrunners this year, but will redshirt before finishing her illustrious college career here during the 2017-2018 season. Nail grew up on a golf course owned by her father. During three years at the University of Mobile, she has been SSAC freshman of the year, three-time SSAC All Conference, 2015 Player of the Year, and has twice been named an NAIA All-American. She was the 2015 Alabama women's amateur champion. Michelle Edwards played four years of varsity golf for Oglethorpe County High School near Athens where she played in three state championships. Dalton State women's golf will open up the fall schedule on Sept. 6th and 7th in the SCAD-Atlanta Fall Invitational at The Oaks Course in Covington. The Roadrunners will then travel to Daytona Beach to compete in the Lady Falcon Invitational, hosted by Daytona State, at the LPGA International Course on Sept. 17th and 18th. The Sand Shark Shootout will be the next destination. Hosted by the USC-Beaufort, the Shootout will be on Oct. 3rd and 4th at Innisbrook Resort in Palm Harbor, Fl. The Roadrunners will play in the Chick-fil-A Collegiate Championship, hosted by Berry College, on Oct. 24th and 25th at Stonebridge Country Club in Rome. They will then conclude the fall portion of their schedule on Oct. 31st and Nov. 1st in the SSAC Fall Preview at Arrowhead Country Club in Montgomery, Al. Arrowhead will be the new home of the SSAC Championships next spring, replacing the Montgomery Country Club course.